30 December 2016. A clinical trial testing a treatment for heart failure using a patient’s own bone marrow stem cells is recruiting participants at the first two study sites. The late-stage trial is conducted by medical device maker BioCardia Inc., beginning at Johns Hopkins University in Baltimore and University of Florida at Gainesville. Heart failure is a condition where the heart cannot pump enough blood to meet the body’s needs, a condition affecting some 5.7 million people in the U.S. Most cases of heart failure affect both the left and right sides of the heart, although in some cases only one side is affected. The leading causes of heart failure are conditions that weaken or damage the heart, including coronary heart disease, high blood pressure, and diabetes. 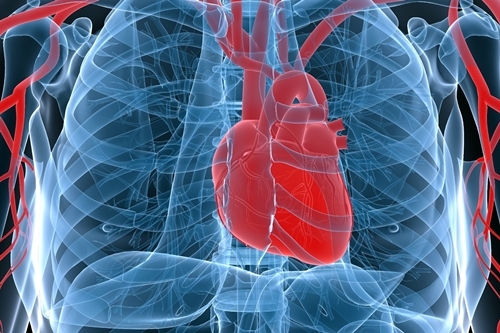 The trial is testing BioCardia’s CardiAmp cell therapy for heart failure. CardiAmp treatments are administered in a same-day procedure that the company says takes 60 to 90 minutes. The process takes a sample of the patient’s bone marrow from the iliac crest in the hip, where stem cells and heart progenitor cells are extracted and reprogrammed at bed side into dosage quantities. The reprogrammed stem cells are then delivered to the heart through the company’s Helix catheter system. The process is preceded by a diagnostic test to confirm the patient’s bone marrow will support CardiAmp treatments. The clinical trial is recruiting 250 participants with heart failure at eventually 40 sites, but beginning at Johns Hopkins and University of Florida. Participants are randomly assigned to receive the CardiAmp treatment (60% of the sample) or a sham procedure (40%). The study team is looking at the distance covered by participants in a 6-minute walk as the main indicator of heart health, 1 year after the treatment, compared to the distance registered before the treatment. The team is also tracking survival time, major cardiac events, and lifestyle factors at 1 year and 2 years following treatment. BioCardia cites early- and intermediate-stage clinical studies showing CardiAmp’s safety and efficacy in improving heart function and quality of life in people with heart failure. The company says there were no reports of major cardiac events in either trial from the treatments. The company, based in San Carlos, California, generated the cash needed to finance the trial through a series of transactions during the summer and fall of 2016. In August, BioCardia acquired Tiger X Medical Inc., a public company whose sole purpose appeared to be collecting royalty revenue off previously purchased assets from Arthrex, a company making orthopedic medical devices. At the time of the acquisition, Opko Health, a developer of diagnostics and therapeutics in Miami, became a “significant” shareholder in BioCardia, according to a BioCardia statement, although financial details were not disclosed. At the closing of the acquisition in October, according to the company, BioCardia gained $25 million in cash to fund the trial.